Boston photographer Fred Holland Day (1864-1933) first distinguished himself in literary circles as a critic, bibliophile, and co-founder of the progressive publishing firm Copeland and Day, before turning to photography in the 1880s. By the turn of the century, he had established an international reputation as a leader in the Pictorialist movement, striving to gain acceptance for photography as a fine art. Day's work ranged from intimate portraits of friends and fellow artists, to elaborate, costume-driven self-portraiture, including his "Jesus Christ" series, photographed in rural settings near his home in Norwood, Massachusetts. Especially illuminating of Day's dual role as artist and advocate are the 50-plus images, reprised here from a 1902 exhibition, in which Day posed for "leaders in the newer photographic methods" to demonstrate that the camera could be as expressive and sensitive an artistic tool as the brush or the etcher's needle. 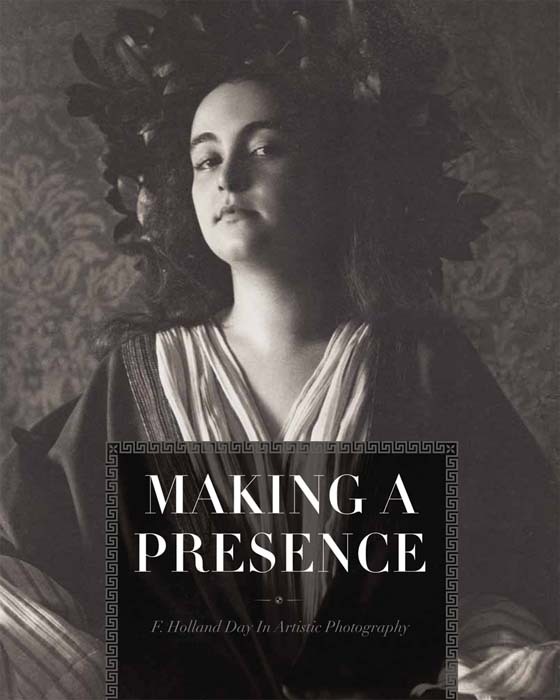 Making a Presence offers a dynamic composite portrait of an iconoclastic, independent artist, and of a man exquisitely expressive of his fin-de-siecle milieu. Trevor Fairbrother is an independent scholar and curator, whose previous books include Painting Summer in New England, John Singer Sargent: The Sensualist, and Ipswich Days: Arthur Wesley Dow and His Hometown, all from Yale University Press.